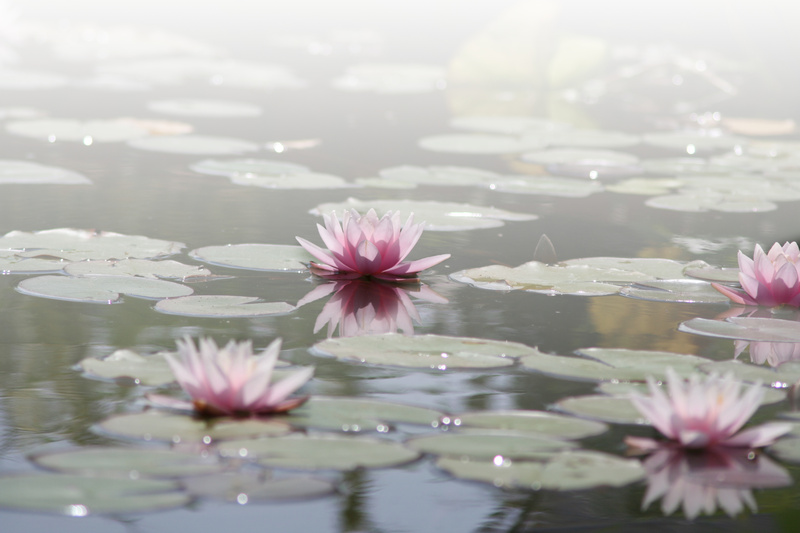 The majority of pond problems can be avoided by maintaining healthy water quality. Processes like the Nitrogen Cycle change the chemical balances in the water. If your biological filtration cannot cope with the waste in your pond, the water can become unsafe for your fish and plants but the change will often be invisible to the human eye. 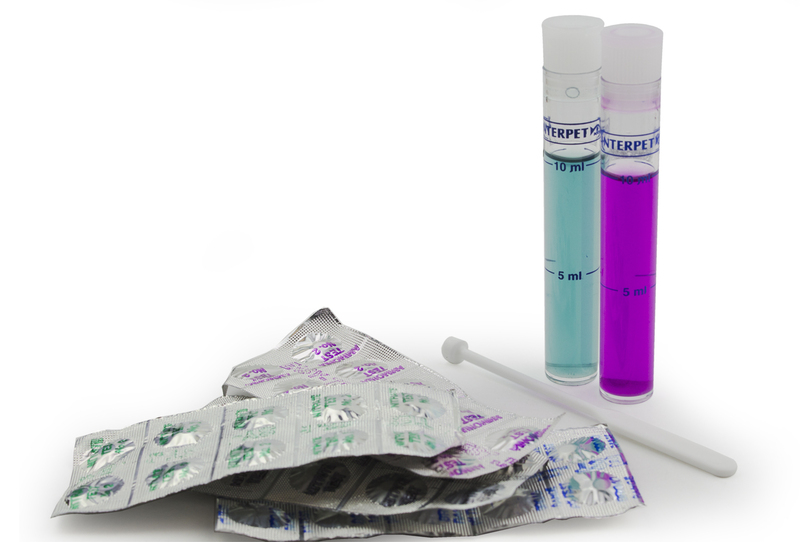 Testing your water regularly will allow you to monitor levels and treat any problems before they become a real issue. How do I get rid of Blanket Weed? The common causes of blanket weed are excessive light and excess nutrients in the pond water. There are a variety of treatments which can be used to help remove Blanket weed in all types of ponds. You can also limit the amount of light reaching the pond and remove excess nutrients by encouraging lush pond plant growth with a good quality food like Flora Boost. Find out more here. How do I get rid of Duckweed? The common causes of duckweed are excessive light and excess nutrients in the pond water. Treat your pond with a specific treatment that impacts the Duckweed growth. You can also limit the amount of light reaching the pond and remove excess nutrients by encouraging lush pond plant growth with a good quality food like Flora Boost. Duckweed will not grow in areas with high water flow so creating spaces like this will limit the areas for growth. Find out more here. How do I get my water clear? The most common types of unclear water are: green water (suspended algae) or cloudy water (suspended dirt or bacterial bloom). The correct treatment will depend on what is causing the water cloudiness, use the diagnose what’s wrong page to ascertain the problem and consider testing your water for irregularities. The common causes of green water are excessive light and excess nutrients in the pond which will cause a bloom of suspended algae. Treat the pond using Green Away which will clump the floating algae together, it will then become filtered out by your filter. Encourage lush plant growth to reduce the amount of light getting to the pond and the excess nutrients which cause algae growth. Find out more here. The Nitrogen Cycle is an essential waste treatment cycle driven by a number of species of naturally occurring bacteria. It occurs most effectively if you have a biological filter in your pond which acts like a mini sewage treatment works removing damaging waste and making you pond water healthy for aquatic wildlife. Find out more in our filtration article. Can I use the hose to fill and top up my pond? Yes, you can use water from the hose however you will need to treat tap water with Fresh Start to make it safe for use in your pond. Tap water contains chemicals like chlorine and heavy metals which are harmful to fish so water must be treated every time it is added to the pond. When topping up, treat the pond with Fresh Start before topping up so it treats the fresh water as it is introduced. I have had a major disease outbreak, should I drain my pond? You should never have to completely drain your pond, in fact, doing so is likely to do more harm than good. The disease outbreak may well have been caused by water quality problems and these can be addressed by completing small but regular water changes and continuing to test water regularly. Removing large amounts of water will make your pond more unstable slowing down a successful recovery. Can I use rainwater to fill my pond? Yes – although you should check the rain water’s pH level (it may well be acid). If it is too acid you may need to add a pH adjuster to avoid causing “pH shock” to aquatic wildlife. How much should I treat? How often can I treat my pond? Can I use more than one Fish Aid medication at a time? 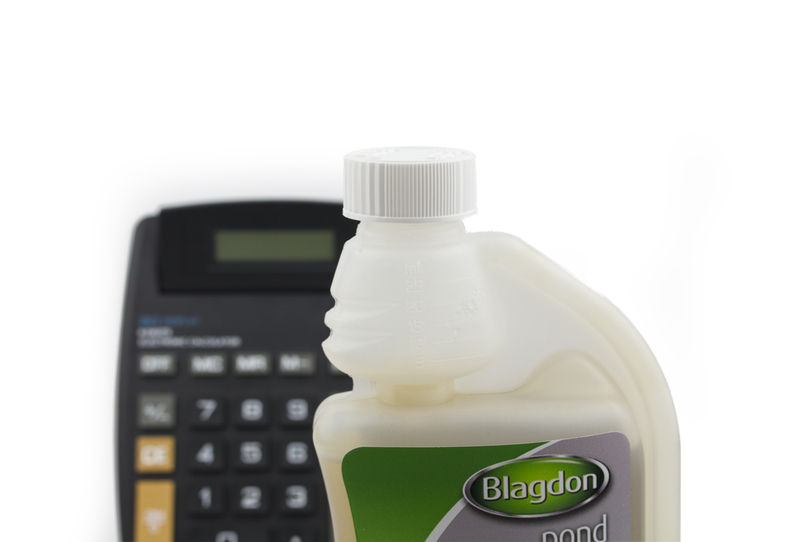 No you cannot use more than one Blagdon Fish Aid Treatment at a time as the combined active ingredients could cause problems. As a general guide treat Parasites before Bacteria and Fungus. You can however use medications at the same time as other Blagdon Treatments. I have used a pond medication but the problem has not cleared up, can I re dose? Is it safe for my pets to drink from a treated pond? We cannot advise that it is safe for pets to drink from a treated pond although in dilution our treatment chemicals are designed to sustain life and are not designed to be toxic or poisonous. If neat treatment is consumed by accident All Blagdon treatments are listed with the National Poisons Bureau who can be contacted by your hospital, doctor or vet. A pond can only safely support a certain level of fish before it becomes an unhealthy environment this is because each fish needs enough oxygen and creates a certain amount of waste. It is best to understock your pond as this allows room for the fish to grow and develop happily. As a guide you should not have more than 1” of fish (excluding tail) per square foot of water surface area – 22cm per m2 – this means 1 goldfish for every 3-4 square feet or 2-3 goldfish for every square metre. As happy healthy fish will often spawn in the pond (creating more baby fish!) you may need to remove fish from your pond over time to keep the stocking level at an optimum. I don‘t know what’s wrong with my fish, what should I do? Firstly, look through our Diagnose what’s wrong page and identify symptoms similar to those of your fish. If any of those match click through to see our recommendations for what to do next. My fish is floating, what’s wrong? Buoyancy issues can be caused by several problems, take a look through the buoyancy issues page for more information. You can also test your water which will highlight any underlying water quality issues which could be affecting the buoyancy of your fish. Flicking or scratching can be a sign of bad water quality. Test your pond water using a test kit and use the Diagnose what’s wrong page to identify your next actions. Flicking and scratching may also be a sign of parasitic infection, however in this instance there are usually other visible symptoms. Take a look at the Diagnose what’s wrong page to find out what other symptoms to look out for. Why is my fish jumping? Erratic behaviour, such as a jumping, in fish is often a sign of bad water quality. Test your pond water using a test kit and use the Diagnose what’s wrong page to identify your next actions. Why has my fish stopped eating? The amount of food a Pond fish needs is linked to water temperature so they will feed differently throughout the year so you will need to adjust your feeding seasonally. For example in winter when the water is below 10oc, you should not need to feed your fish. When water rises above 10oc in early spring and some mild winters, they will need an easily digestible food designed for colder temperatures. In the warmer temperatures of spring, summer and early autumn you can feed with a high quality food. If your fish have suddenly lost their appetite when water temperatures are higher than 10oC, test your water and assess them for any physical symptoms. Use the diagnose what’s wrong page to find advice for specific disease or water quality issues. Should I remove the sick fish from the pond? In most cases removing fish from their home is likely to cause more harm than good. A separate pond will have different water quality, temperature and could cause unnecessary stress. In most cases, you’re likely to have more success in curing disease if you treat the whole pond. Whilst only one fish may be showing symptoms at the time of treatment, it is likely that the other fish will also get the disease and will therefore benefit from treatment too. Will my fish survive winter if the pond freezes? Yes, if you prepare the pond properly. To find out some of the ways you can do that, please have a read through our winter pond care article.